You can’t leave Tokyo feeling the same as when you arrived. A visit will overwhelm and excite with innovation, surprise with characters and treat with fascinating edible creations. For photographers, Tokyo is a city that enables you to photograph street scenes, landscapes, cultural portraits and ornate details. A visit to Tokyo with your camera is like a never-ending ride, there’s a photo opportunity around every corner and you’ll leave with a full memory card of images! Photo spots in Tokyo are found in all directions no matter which one you decide to explore first. 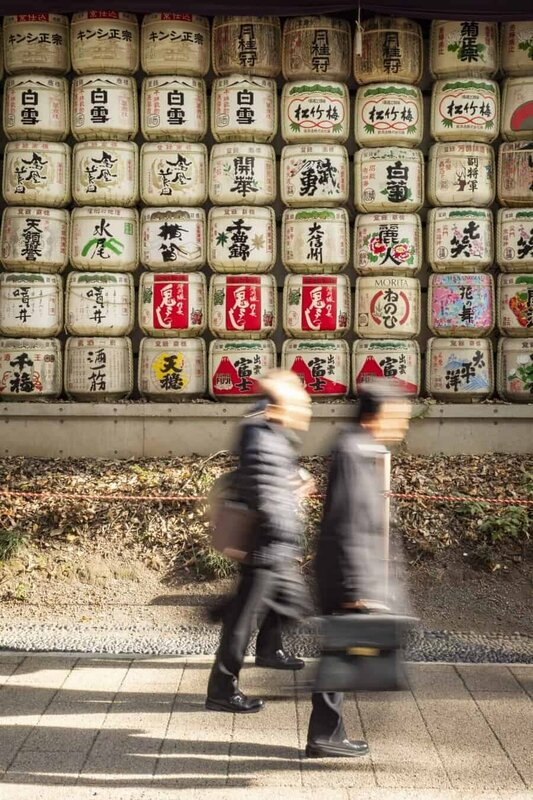 This Tokyo guide lists a collection of my favourite photography locations throughout Tokyo. After visiting eight times I’ve explored a lot of the city but there is also so much more to see that’s hidden within the alleys and surrounding districts that one day I’ll get to see too. From Asakusa to Shibuya, Shinjuku and all the photo spots in between, I hope this guide will treat you well when exploring Tokyo with your camera and please let me know in the comments if you’ve got any questions for your trip! Where to find the best Tokyo photo spots? As with all of my guides, scroll to the bottom to find a summarised list of the locations and map noting exactly where each photography location is to get you started. You can open the map in Google Maps and take it with you during your travels to maximise the time you spend taking photos! If you’ve only got one day in Tokyo, make a note of which locations are close to your hotel or grab a subway pass and zoom around the city trying to visit as many as possible. 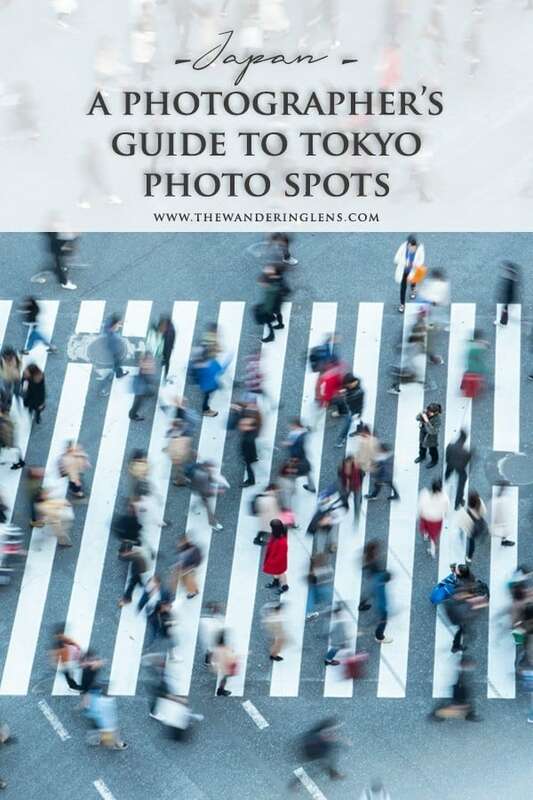 To use this guide, continue browsing to find some sample images, location information and tips for the best time to visit and great angles to capture at each Tokyo photo spot… have fun! 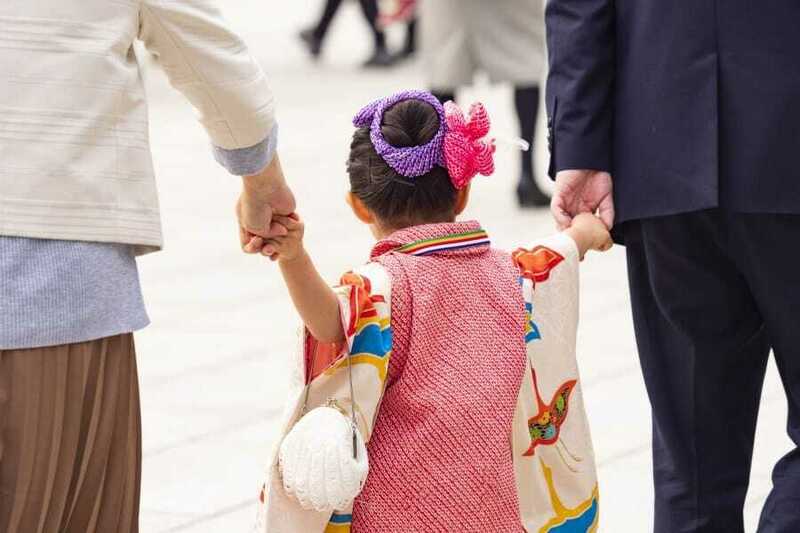 Little update – Join me in Kyoto for a women’s photography tour from November 24th until December 1st, 2019. More details here. Historic, photogenic and filled with old world charm, Asakusa is my favourite district of Tokyo. Streets here still show signs of the Edo period from the 1600-1800s with quiet alleys and low-rise buildings. 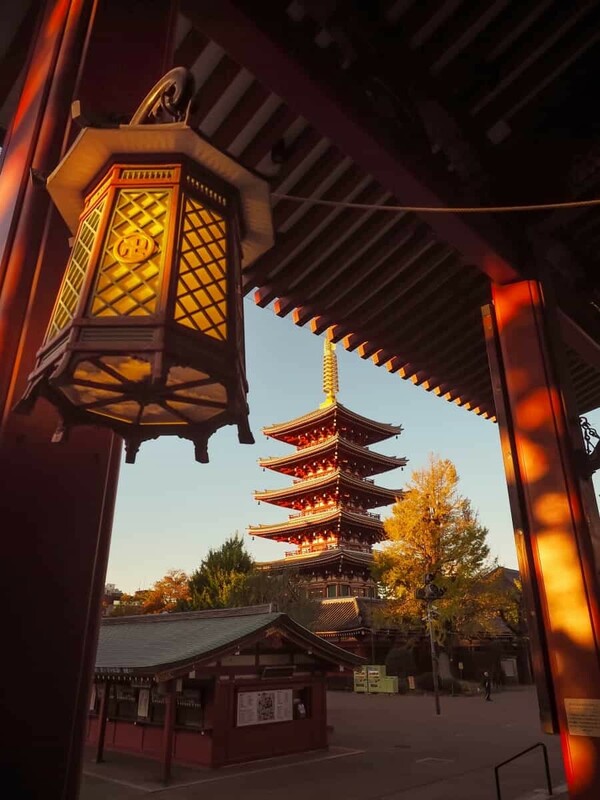 At the centre of the district is Sensō–ji Temple, one of the highlights of any trip to Tokyo. Scroll below to read more about Sensō–ji Temple and some of its photo spots. 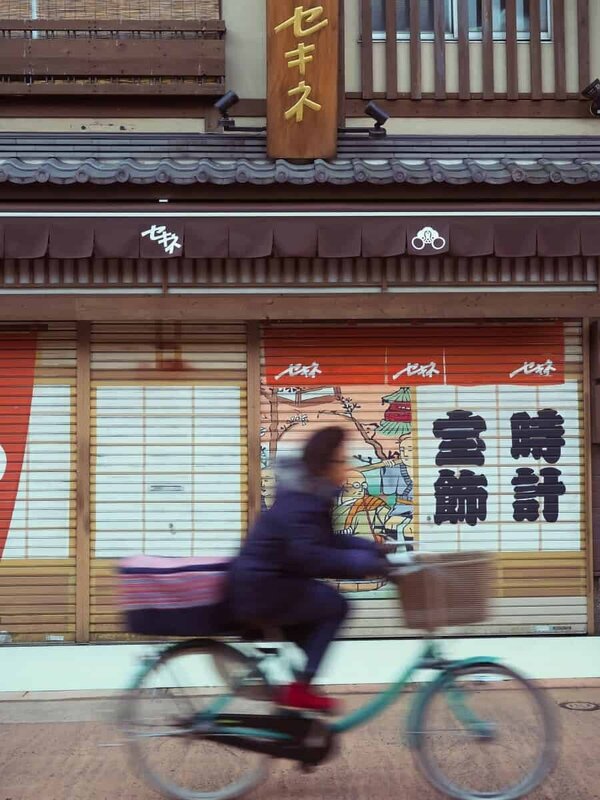 Throughout Asakusa you’ll find covered streets like Shin-Nakamise where shop fronts make for interesting shots and small restaurants and tea houses with traditional gardens squeezed between more modern buildings. Personally, my favourite scene is in the early hours of the morning when the stores are actually closed. 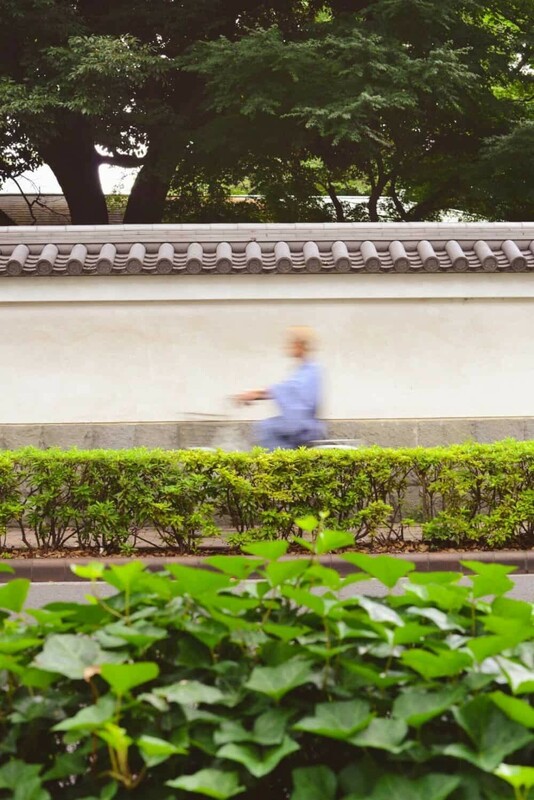 Many have painted their doors with beautiful Japanese characters and traditional scenes, a sight that photographs beautifully as people pass on bicycles on their way to work. 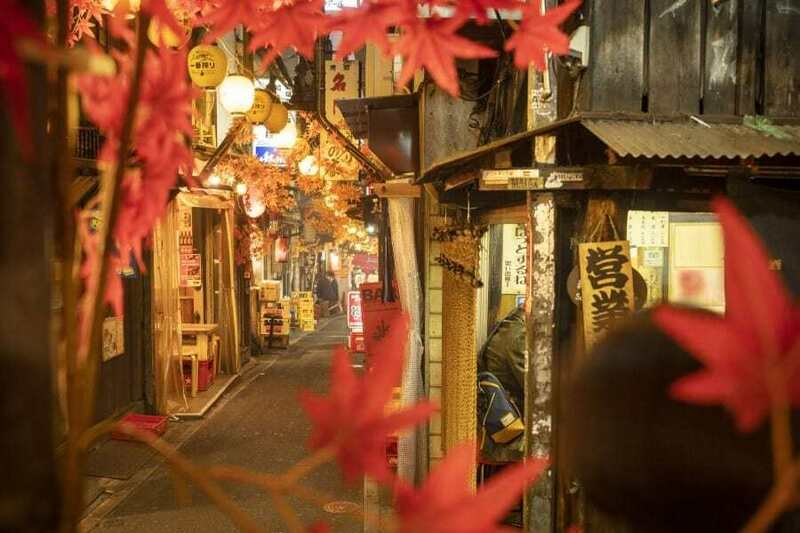 You’ll find a great mix of ancient and modern culture visible in Asakusa, if you happen to be in the area at night, be sure to pop by Hoppy Dori, a street where you can eat outside in a series of small izakaya restaurants serving everything from sukiyaki to sushi. Best For: Capturing street scenes and evident pockets of the Edo period. 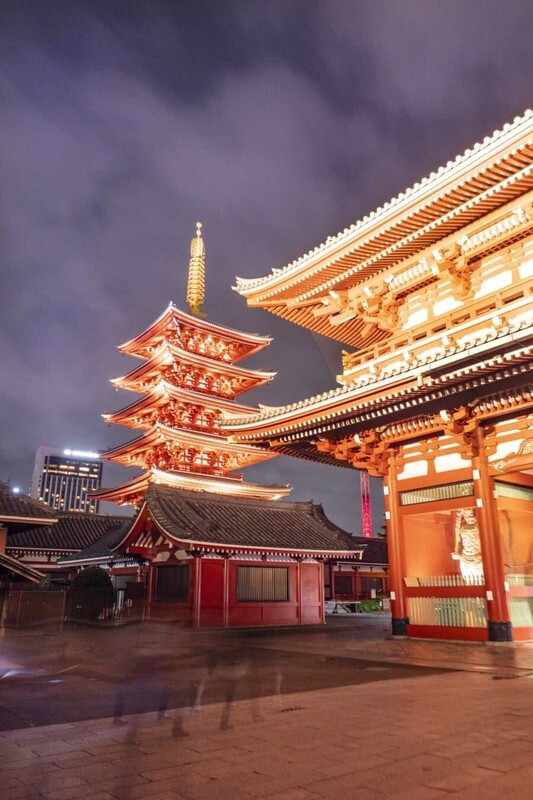 Best Time to Visit: If you’re photographing the nearby Sensō–ji Temple, it’s always best to visit either in the early hours of the morning (sunrise), or after dark to ensure there’s less crowds. 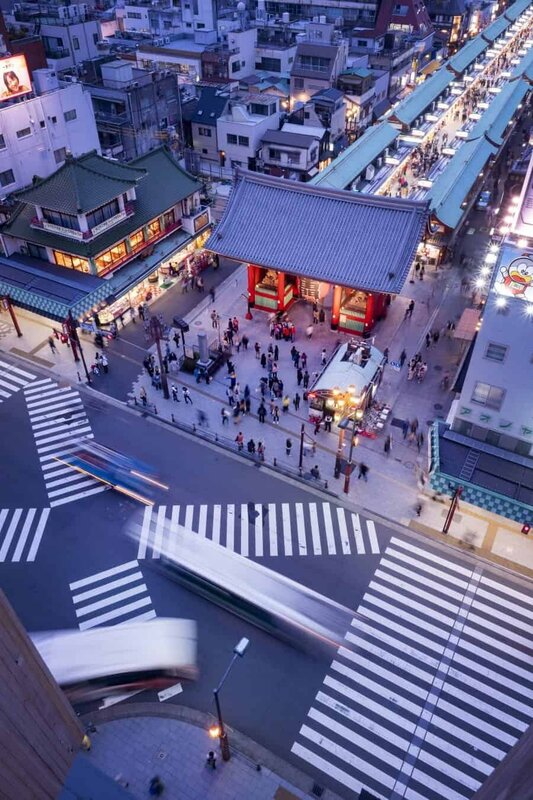 Best View: In addition to the street scenes, get up high at the Asakusa Cultural Centre. Head up to the 8th floor for amazing views over the area and along the photogenic Nakamise shopping street towards Senso-ji temple. Entry is free! Best For: Iconic temple photographs and sunrise. Best Time to Visit: Because the grounds are open 24hrs, you can visit whenever you like. Just be mindful that during the day it can get very, very busy here and can be wall to wall people. Sunrise and dusk/twilight are the best for photography. Best View: Stand on the balcony of the main hall and photograph back over the complete using the lanterns to frame your image. Where the word colourful is an understatement and crazy has no limits. 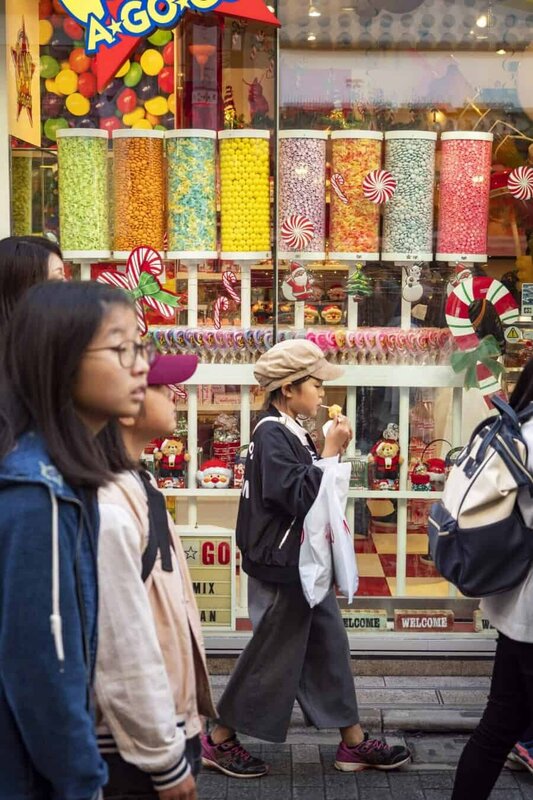 Harajuku is like stepping into Willy Wonka’s mind; it’s quirky, cultural and so fabulous. 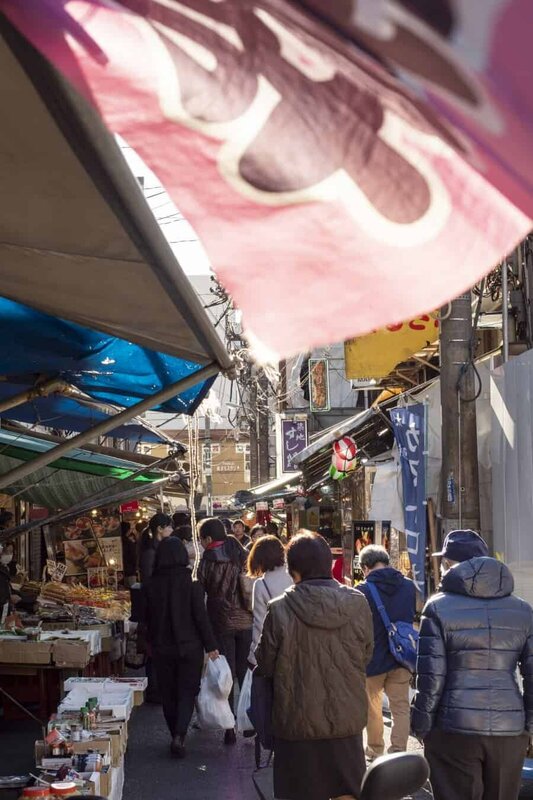 Head straight for Takeshita Street to experience all the weird and wonderful fashions, flavours and trends which are compacted into a small alley that in itself, makes a great scene to capture. Harajuku isn’t just about all things over the top though, in the back streets you’ll actually find some really peaceful residential areas. There’s little pockets filled with parks, playgrounds and boutique stores but I found the architecture to be the most impressive thing. Houses designed with a full glass frontage of all shapes and sizes makes for an interesting wander and you’ll find lots of little businesses, most with cute signage that are also photo worthy. This area is also home to Omotesando Avenue, a fashionable street often compared to the Champs Elysee of Paris with it’s leafy, tree-lined appearance and high-end department stores. Venture down the streets to the north of the avenue and this is where you’ll discover the architecture I was mentioning above. 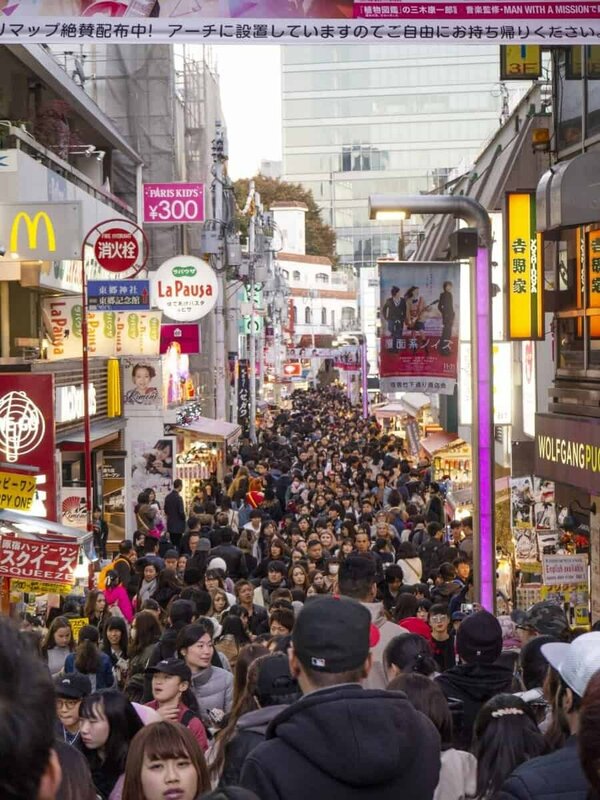 Best For: Anything and everything, Harajuku is where you can expect the unexpected. Best Time to Visit: Rather than avoiding the crowds, I think the crowds actually help to create the atmosphere here so aim to visit after 11am. Best View: When arriving via Harajuku Station head for Takeshita Street and at the entrance there’s a great vantage point to capture the hive of excitement. Also Tokyu Plaza which is located on Omotesando Avenue has a very futuristic and photogenic escalator at it’s entrance…so photogenic you may need to get in line to take your photos here. Located within the dense forested beauty of Harajuku and Shibuya beside Yoyogi Park, Meiji Shrine is a must see when visiting Tokyo. 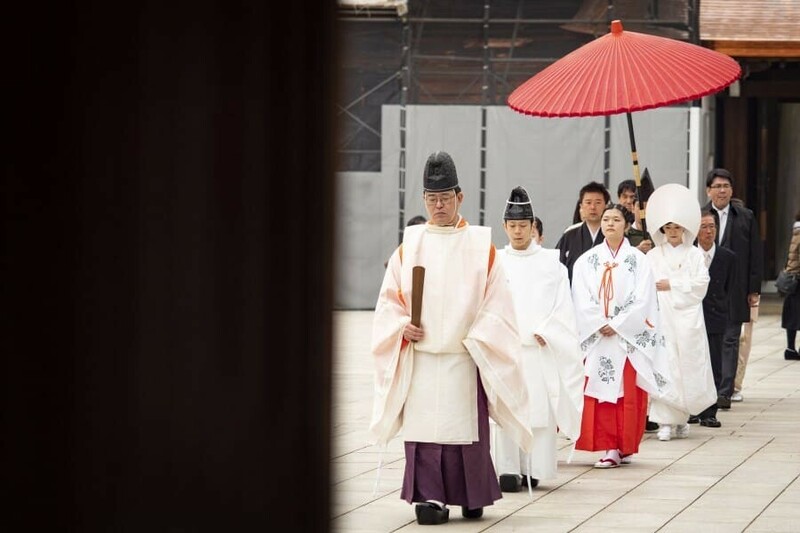 The shrine regularly hosts traditional Japanese weddings and ceremonies making it a fantastic location to capture portraits and scenes that showcase the Japanese customs and also clothing. The entrance to Meiji Shrine is a long tree lined avenue with a massive torii gate which makes for a beautiful image. You’ll also find all of the fascinating details found within a Shinto Shrine such as the Temizuya (entrance fountain), worship halls, Ema (small wooden charms used to make prayers and wishes) and ornate wooden features. Best time to Visit: Early morning provides less crowds and a calming atmosphere for photographs. Best View: From the entrance looking down the forested avenue is a great view, otherwise, venture into the main area and cross your fingers there’s a wedding taking place…it’ll be the highlight of your trip! 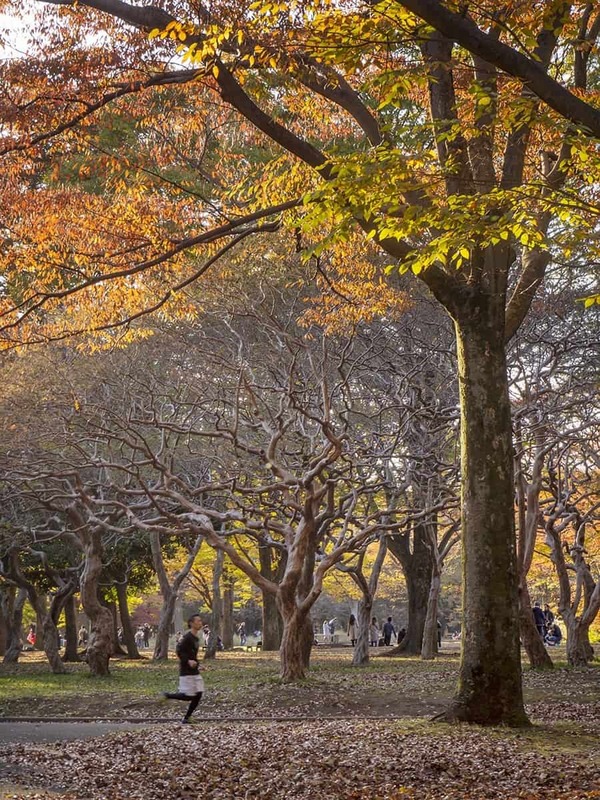 If you happen to be in Tokyo on a Sunday, be sure to take a stroll through Yoyogi Park. This is where cosplay costumes come out to play and where locals come to walk their dogs…in prams, also in costume. It really is the best. Groups like the Rockabilly Dancers are there most weekends performing but otherwise it’s just an open space of 134 acreas where people can come to relax whether that means having a picnic lunch or dressing up as an alternate personality. In November and early December the autumn colours turn the park into a landscape photographers wonderland and come April, the cherry blossoms do the same. Grab a picnic and sit in the park to photograph all the festivities and faces, not to mention the background which is equally beautiful. Best For: Photographing cosplay costumes and landscapes. Best Time to Visit: Sundays around lunch time. Best View: The southern end of Yoyogi Park tends to be where most people hang out if you’re after portraits. Otherwise venture through the park to find your own little perfect spot. There’s a number of ponds, fountains and forests to explore. 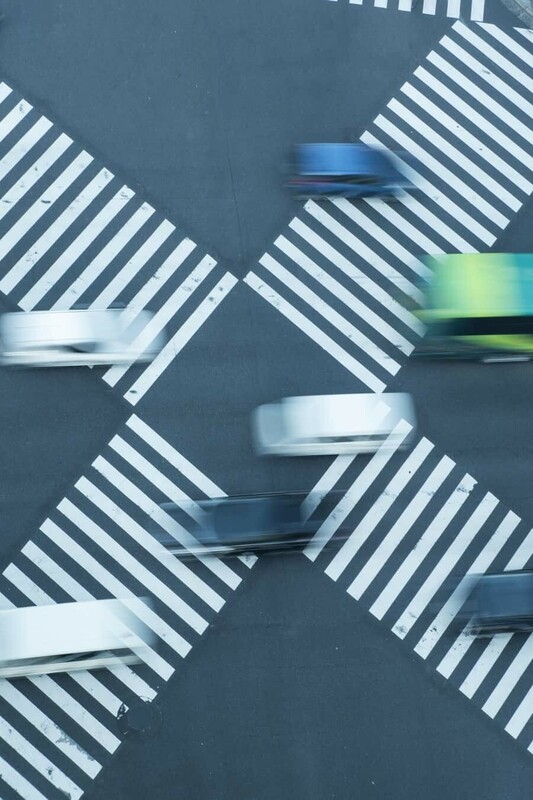 Ginza is known for its glamourous department stores but hiding on top of one is an ideal location for capturing city scenes and street crossings. We all know the Shibuya Crossing but if you head to the 12th floor of the Tokyu Plaza Ginza (only opened in 2016) you’ll find one of the best views in the city. Access is free, simply head for the elevator and press ‘R’ for rooftop. Down below is a crossing that if you wait long enough, you can capture cool shots of the pedestrians as they cross in all directions, or of colourful cars whizzing past. Best Time to Visit: Sunset from the rooftop is pretty spectacular and will also allow you to easily blur the motion of traffic below for a more creative photo. Best View: Right in the corner of the rooftop if you look straight down you’ll be in the perfect position to photograph the pedestrian crossing below. 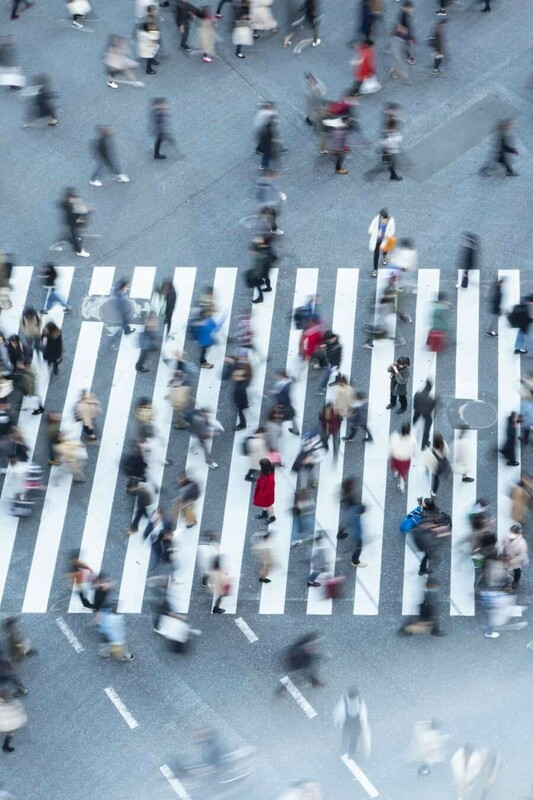 Possibly the most popular photography location in Tokyo, the Shibuya Crossing sees anywhere up to 2,500 people cross at any one change of lights…that’s a LOT of people! What makes this scene are the buildings looming around in all directions and the lights of Shibuya which when visiting after dark, really turn this crossing into something special. Be sure to cross the street a few times to soak up the experience then find some unique angles to capture the craziness that ensues once pedestrians cross the street. Also just outside of Shibuya Crossing is the famous Hatchiko Statue…while it’ll be totally surrounded by people, it’s worth a peek because the story behind the statue is so adorable! Especially if you’re a dog lover like me! It’s a great location to test out some slow shutter shots, I personally shoot with the super stable Olympus OM-D E-M1 MKII which has 5 axis stabilisation meaning I can shoot hand-held in low light conditions. If your camera is a little less stable, look for a railing or pole to lean against to support yourself. Best Time to Visit: Dusk and early evening is when this crossing really shines. Having enough light in the sky but darkness down on the ground will create a colourful shot with plenty of movement. Around peak hour also means more people which adds to the atmosphere! 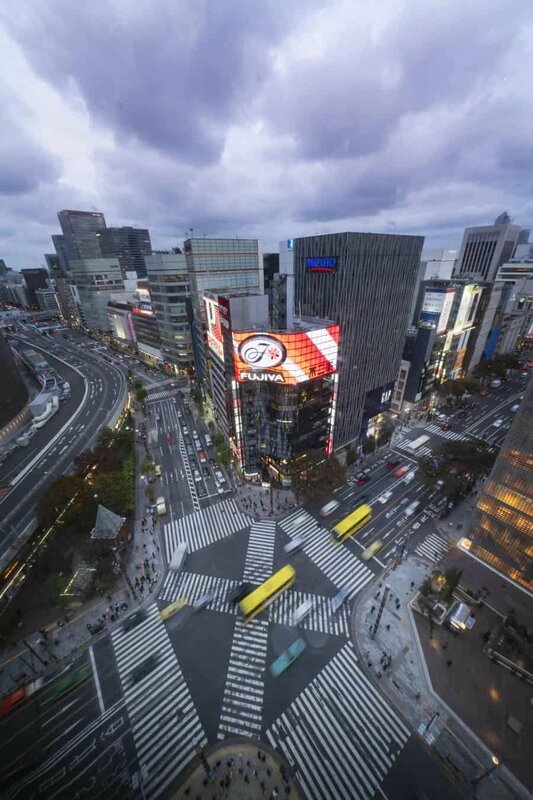 Best View: Crossing View in the Magnet by 109 buildings is brand new and offers the perfect view over the Shibuya Scramble. Entry is 500yen (check for current pricing, I’ve heard rumours it could now be free). Otherwise, you’ll find a Starbucks located opposite Shibuya Station where you just need to buy a coffee to gain access to the second floor views but these can be very hard to come by with a lot of people attempting to get a window seat. Alternatively, book yourself a room at the Shibuya Excel Hotel Tokyu to gain access to the 25th floor viewing area. Popular for it’s early morning tuna auctions, the inner market is now closed as it’s being relocated. 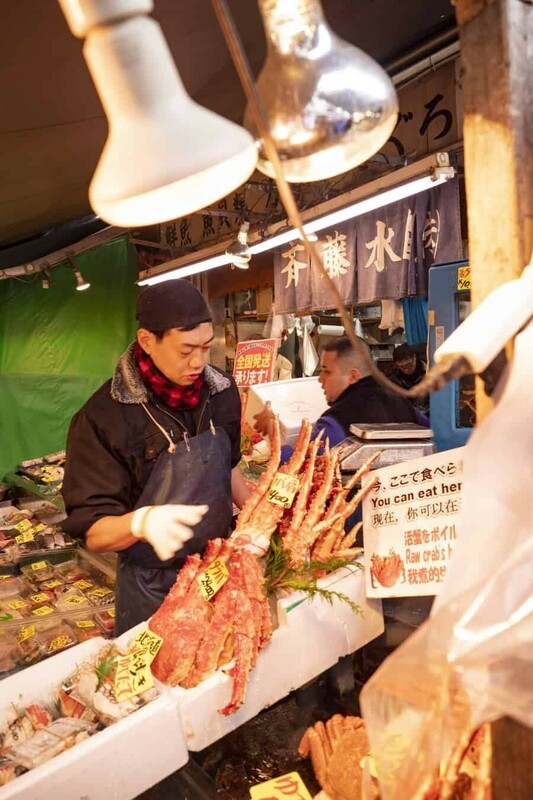 However, the outer public market is still open and very active, in fact, it offers all the atmospheric scenes you’d expect to see in a bustling fish market. 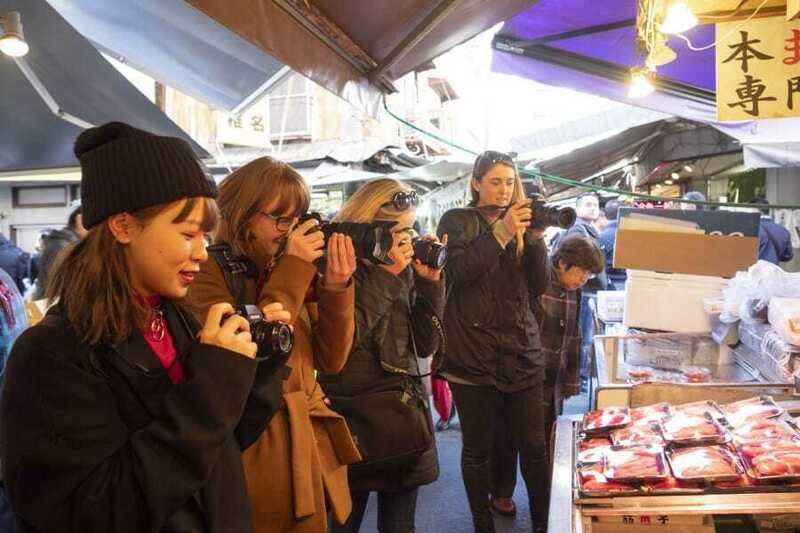 Wander the tiny alleys where sushi stalls serve the freshest fish in Tokyo, you can not only eat your way around the market but photograph your way around capturing the bustling scenes, produce and signage. Be mindful that this is a public market so always ask before taking a photo and don’t get in people’s faces while they’re purchasing fish. You’ll notice some stalls have signs saying ‘no photos’, others welcome them. Best For: Sushi, sushi and more sushi. Atmospheric market scenes during the lunch rush. Best Time to Visit: The outer market is only open from roughly 5am until 1-2pm daily (differs between restaurants/stalls). I always suggest arriving around 10am and staying until 12:30pm to avoid getting in the way as they pack up. A tranquil oasis where the stunning features of a Japanese garden are on display on a grand scale. 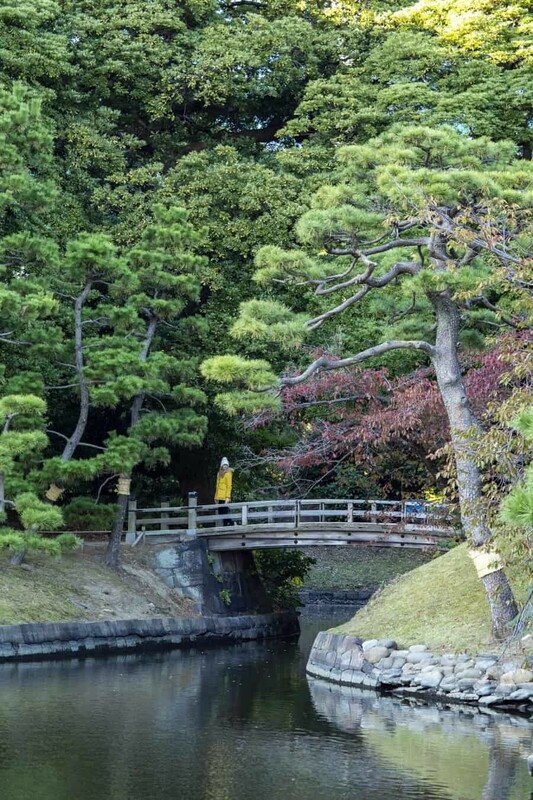 Wander through the Hama-rikyu Gardens to photograph a 300yr old pine tree, flower beds, cherry blossoms in season and traditional tea houses that sit beside a lake. Offering the ideal place to wander after a morning photographing the nearby Tsukiji Market, the gardens give landscape photographers a great opportunity to capture the contract between modern skyscrapers and a lush haven. The tea house located at the centre of the gardens offers a chance to experience a traditional tea ceremony. You can enjoy views over the lake while you sip on macha tea and nibble one of the traditional sweets provided as part of the experience. Best Time to Visit: If you’re hoping to photograph cherry blossoms this will depend on the season but April is generally the best time. Otherwise, you can visit the gardens in the middle of the day to capture the contrast between blue skies and lush green gardens. 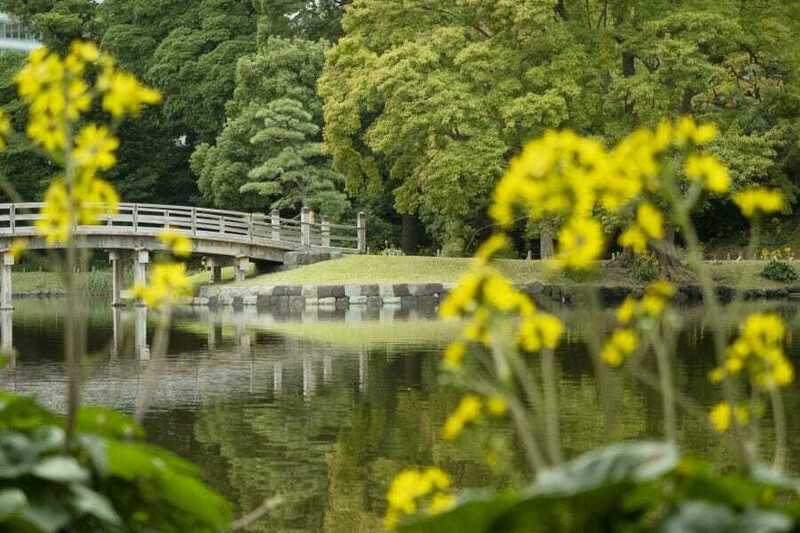 Best View: Opposite the tea house are a series of bridges over the small lake, this offers a great vantage point to photograph the scene pictured below. It’s a tech and gaming lovers paradise and also a great spot for those who love a good shop. 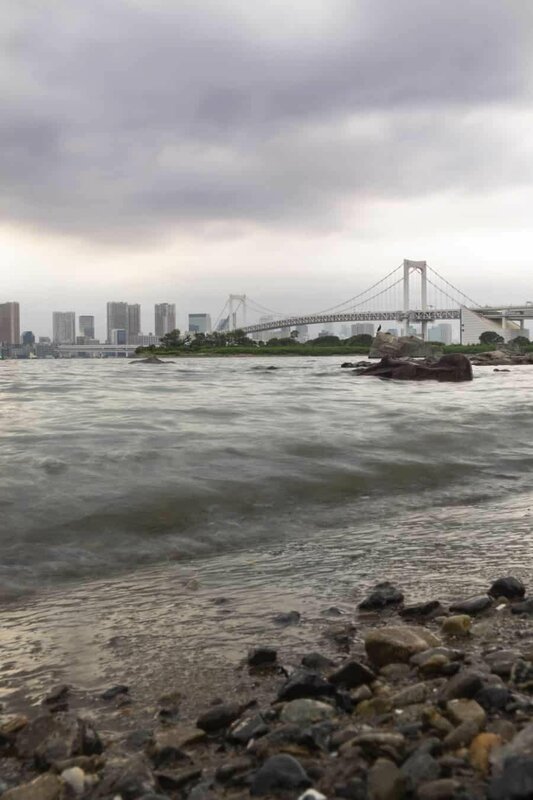 However, in terms of photography, Odaiba Island offers stunning panoramic views of the Tokyo skyline. Rainbow Bridge which connects the city to the island is a striking subject to compose alongside the waters of Tokyo Bay with views possible all along the waterfront in front of Odaiba’s many complexes. Between the Statue of Liberty (yes, there’s one here) and Odaiba Jetty are a number of small beach areas that allow you to get right up close to the shoreline to photograph the skyline of Tokyo in the distance. Best Time to Visit: Sunset is absolutely beautiful from Odaiba! Best View: Arriving to Odaiba is best by ferry which you can do from the Hama-riyku Gardens located across the bay. 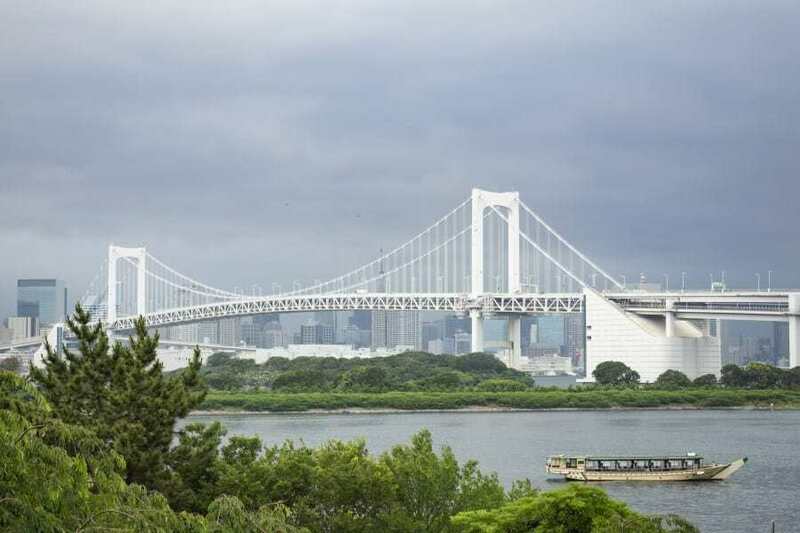 Once on the island, venture along the waterfront to find your own spot to compose the city skyline and Rainbow Bridge. Just in front of the Statue of Liberty is a little rocky beach which can be used for long exposures as small waves crash against the shore. Now this might seem a strange inclusion into a photography guide but let me assure you, it’s one of the best cultural experiences to photograph the Japanese love of baseball. If you can time your trip to line up with a baseball game at Tokyo Dome you won’t be disappointed! By the way, it’s not actually about the game, it’s about the crowd. During a baseball game there are complete marching bands in the stands with their instruments going all out to cheer on their team as dancers run up and down the aisles in colorful costumes. The words ‘gambate’ will be chanted so much that you’ll leave with it stuck in your head for days but it’s all worth it just for the cultural experience. 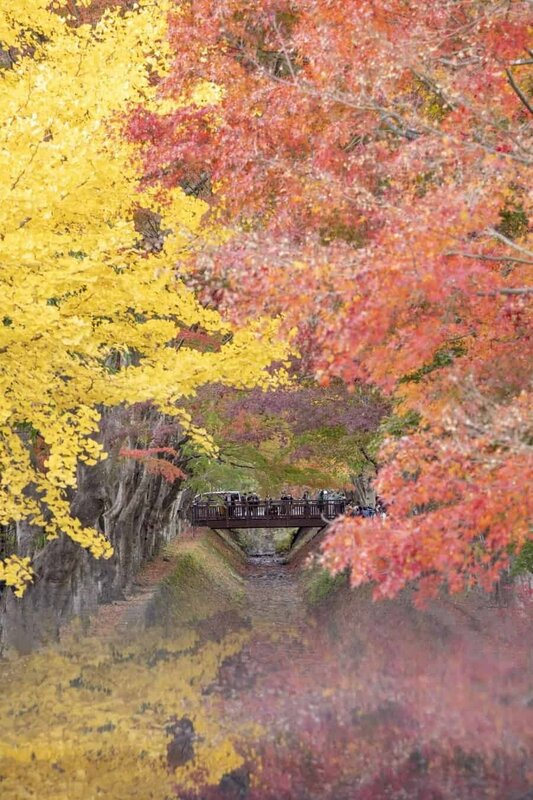 Surrounding Tokyo Dome are actually some beautiful areas too including the Koishikawa Korakuen which produces vibrant autumn scenes to photograph in late November – early December and cherry blossoms in April. The surrounding wall of the garden at the southern end is a great site to photograph too, especially if you’ve got time to wait for a passing cyclist. Best Time to Visit: Baseball season in Japan is typically held between March and October. Check the Tokyo Dome (https://www.tokyo-dome.co.jp/en/tourists/dome/) website for current events + tickets. 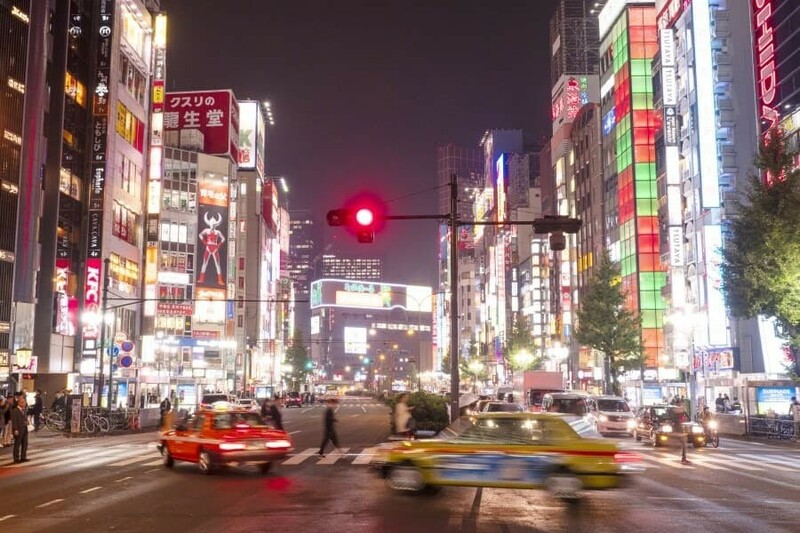 Surround yourself with neon lights as you explore the dazzling district of Shinjuku by night. Streets are lit up by every colour imaginable glowing in all directions creating an ideal environment to capture long exposures of the crowds movement. Arriving at Shinjuku Station, head north-east towards the Kabukicho (red light) district. 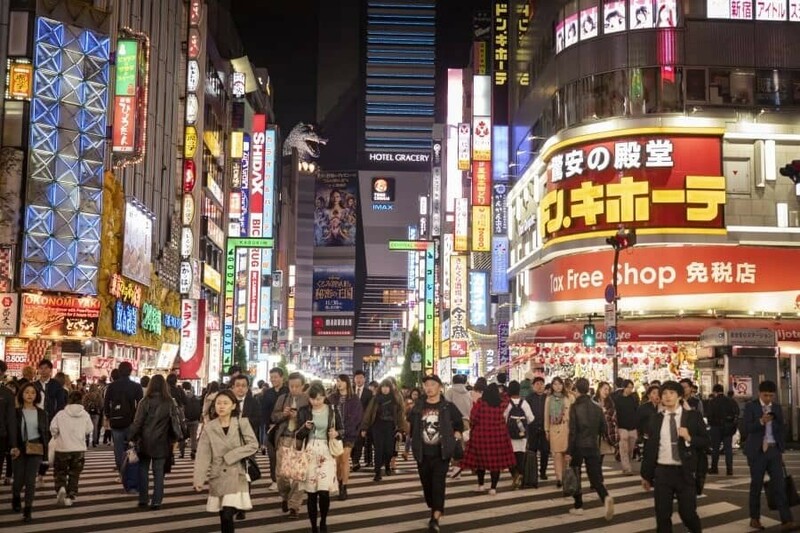 Here you’ll find popular sites such as the Godzilla head which peeks over from the Shibuya Gracery Hotel and the Robot Café where you can eat and get overwhelmed by some of the wackiest and loudest entertainment ever. 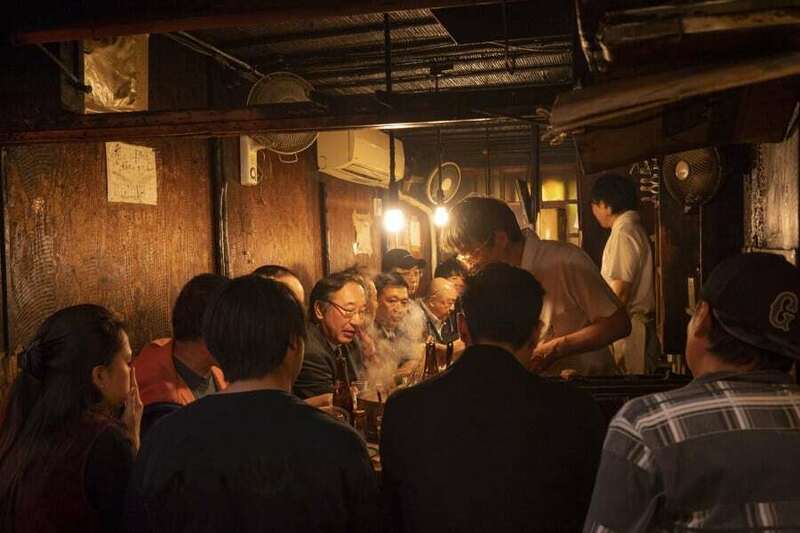 Within Shinjuku there are a number of small alleys offering an insight into old Tokyo, where cosy bars and izakaya can serve only a few people at a time. Head for Omoide Yokocho (aka Memory Lane and Piss Alley) to photograph a tiny lantern lined alley of Izakaya restaurants…just be weary that if you’re taking photos, you’re probably in the way because this alley is really, really small. Snap quickly and you’ll be fine but also be respectful of others privacy if they don’t want to be included in your photo. Golden Gai is another must see location within the Shinjuku district. Here you’ll find a maze of over 200 tiny bars each fitting anywhere from 2 – 10 people at a time. Labelled as one of Tokyo’s tiniest drinking dens, the area is located within a city block and consists of six alleys, each dwarfed by the surrounding sky scrapers. Venture here after dark to see it come to life and explore one of the few remaining areas that survived Tokyo’s turbulent past. Best For: City lights, neon signs and scenes after dark. Best time to Visit: From sunset it’s a great time to explore as this region gears up for another night of entertainment. 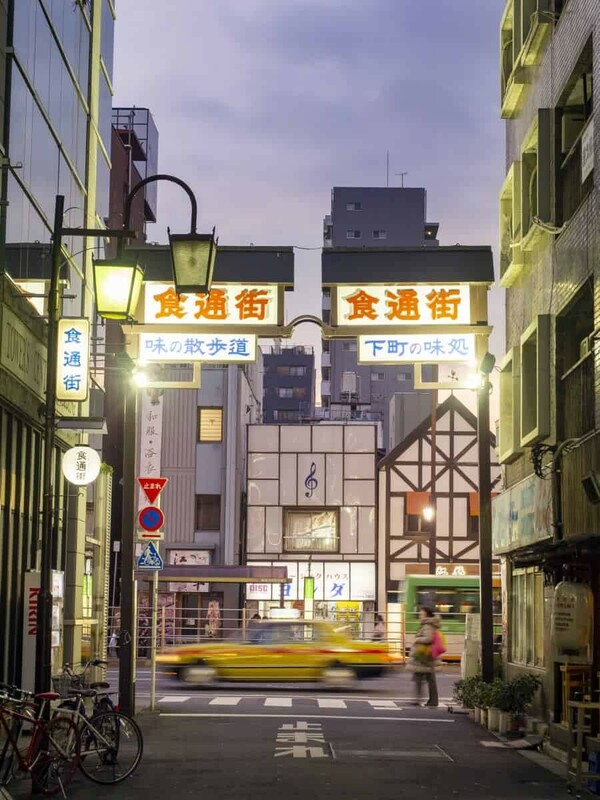 Best View: For street scenes you can’t beat Golden Gai and Omoide Yokocho but if you’re after those neon lights and traffic shots, head for the main street of Yasukuni Dori and stand in the centre (possible at various crossings in a number of sections). This mega structure stands at a whopping 634m high making it visible from most of Tokyo on a clear day and from the top, you can basically see the entire city and further afield. It is however quite the tourist attraction so expect to not have the view to yourself! I found the view to be very impressive however because it’s so high, everything below appears tiny so it’s not great for composing shots. Instead, I love the view from below and framing the Skytree from places around Asakusa to blend modern architecture with older elements of Tokyo. Best Time to Visit: I’d suggest opening time to avoid crowds of just before closing to see the city sparkling below. 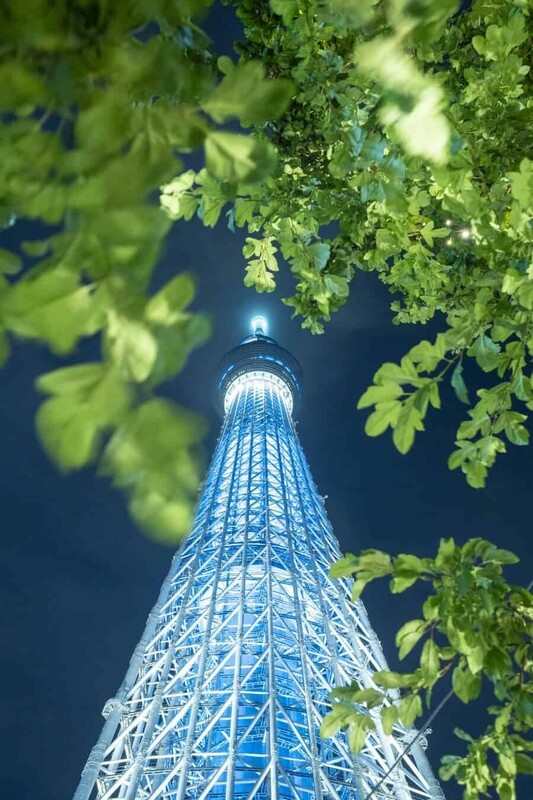 Best View: As mentioned above, I actually prefer photographing the Skytree from afar, rather than being inside it. 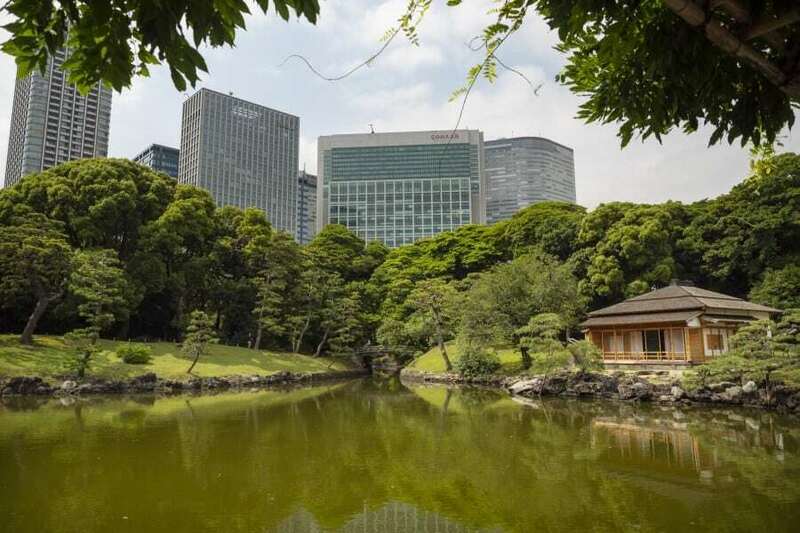 The East Gardens of the Imperial Palace – wander through manicured gardens and see views of the Imperial Palace. The SOHO Odaiba – An architectural rainbow, ideal for insta worthy shots! Tokyo Tower – Looking a little like the Eiffel Tower but painted a striking red and white colour, Tokyo Tower in my opinion is best composed within your shots rather than being at or on it. Nearby Shiba Park offers a great view of the tower or stand in Sakurada-dori Street to compose the structure with the city scene all around. See below for a map of the locations mentioned throughout this guide. You can open this map in Google Maps to take with you while exploring Tokyo! 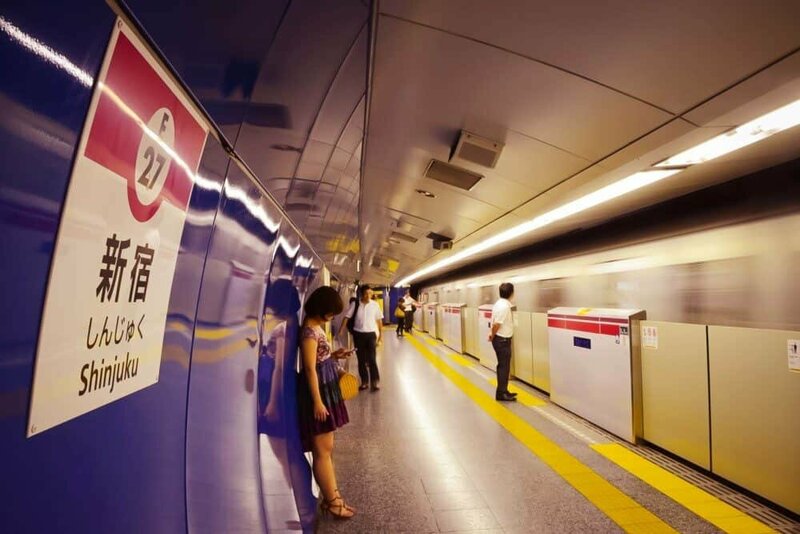 A photogenic experience in itself, using Tokyo’s extensive public transport system is the best way to explore the city. The Tokyo metro is super efficient with trains arriving to each station every few minutes meaning you can get to most places really easily. In terms of travel times, from Asakusa to Shibuya it’s roughly 45mins by metro which goes to show how big this city is. Travelling by public transport in Japan though is like no where else, it’s clean, people are polite and respectful of one another and it always runs on time. If you’re staying a few days, grab a Tokyo Subway Ticket which gives you unlimited access to the metro within a certain period. You can purchase 24 hours for 800 yen, 48 hours for 1200 yen or 72 hours for 1500 yen. Try to base yourself somewhere central to the photography locations that attract you most! 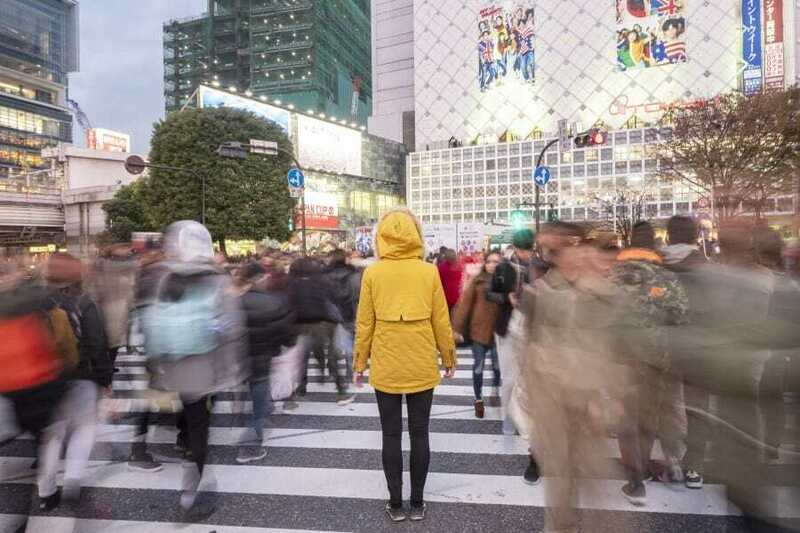 Somewhere like Shibuya or Shinjuku is relatively central if you’d like to visit the Shibuya Crossing, Meiji Jingu Shrine, Harajuku and Shinjuku’s neon lights. 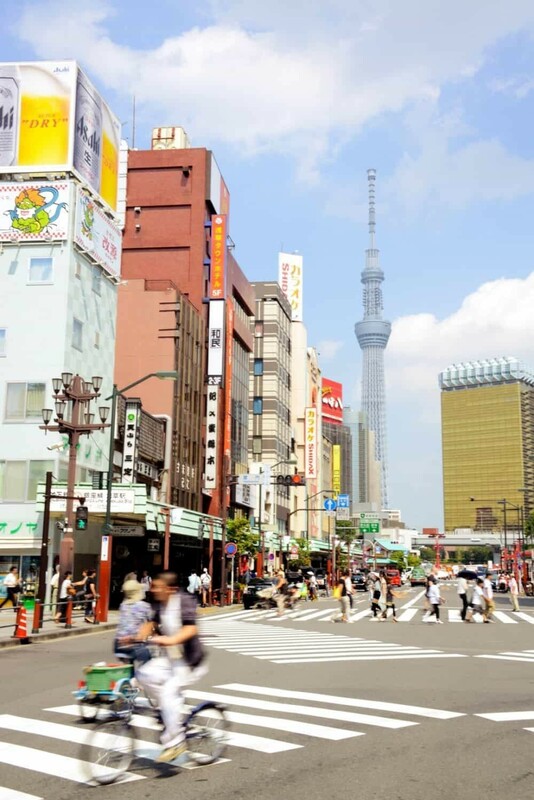 If history is more your thing, base yourself at Asakusa for sunrise at Senso-ji, day trip to Tsukiji Fish Market for lunch then pop across to Shibuya Crossing for sunset and Shinjuku for night wanderings…you can really do so much in just one day in Tokyo! I always love to explore not only everywhere within a city, but some of the more scenic destinations around a city. Mt Fuji + Fuji Five Lakes – Hiking Mt Fuji, Landscape photography. Hakone – Natural surroundings, a great view of Mt Fuji and traditional Ryokans + hot springs. 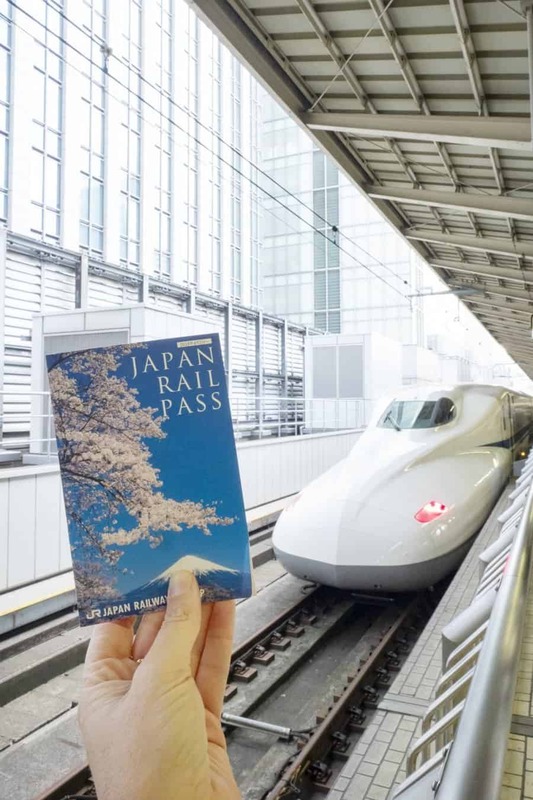 If you’re staying in Japan for a few days or weeks and exploring some of the other regions like Kyoto, Osaka and Hiroshima, a JR Pass may be a valuable ticket to purchase before you arrive. Travelling with a JR Pass allows you to jump on any JR line without reservation making it a seamless experience to get from one places to another. While in Tokyo, the JR Pass is possible to use on the JR Yamanote Line which is a circular route around the city stopping at major stations such as Tokyo Station, Shibuya Station, Shinjuku Station, Shinagawa Station, Ueno Station and Yurakucho Station. Before arriving to Tokyo, ask yourself what you want to photograph most. 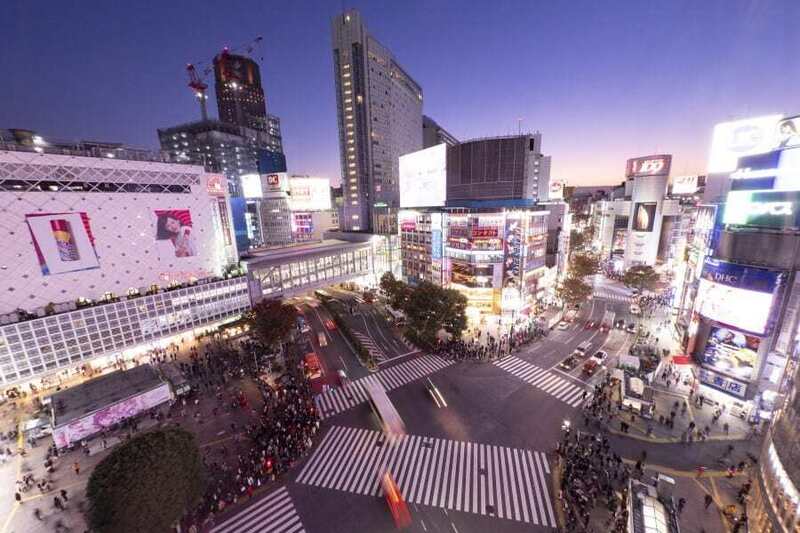 If you’re keen to see the city lights of Shibuya and Shinjuku, look for a hotel in these areas. Otherwise, I love to base myself in Asakusa where you can walk to Senso-ji Temple for sunrise and are within easy access of transport to places like Ginza and Shibuya (45mins). Alternatively, somewhere around Tokyo Station or Ginza will have you located right in the middle so it’s not to far in any direction…there’s also some beautiful hotels located in this area! 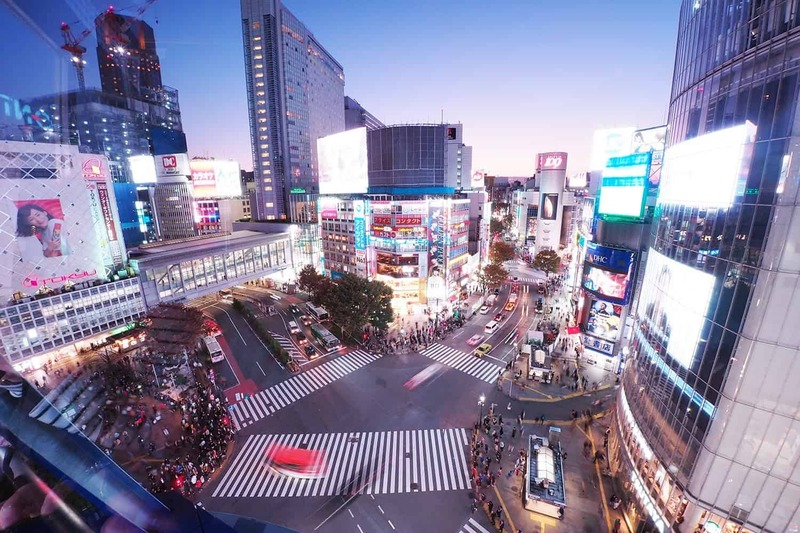 Shinjuku Hotels – best for neon lights, Robot Restaurant and easy access to nearby Harajuku and Shibuya. The station is the busiest in the world so is a great base for day trips out of Tokyo too. Asakusa Hotels – a quieter area of Tokyo but home to Tokyo’s oldest shrine Senso-ji, accesible via the Ginza Line to Shibuya. 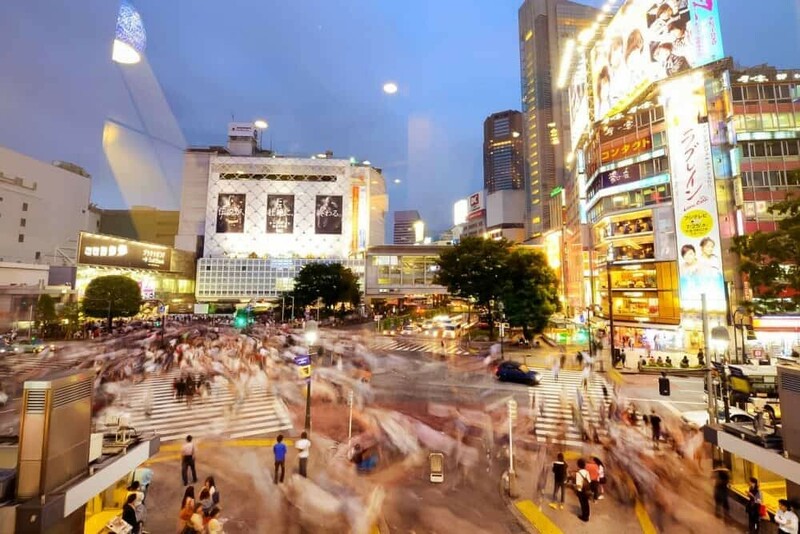 Shibuya Hotels – base yourself right in the thick of the best shops, cafes and near the most famous street crossing in Tokyo, the Shibuya Crossing. Easy access to most areas of Tokyo from Shibuya Station. 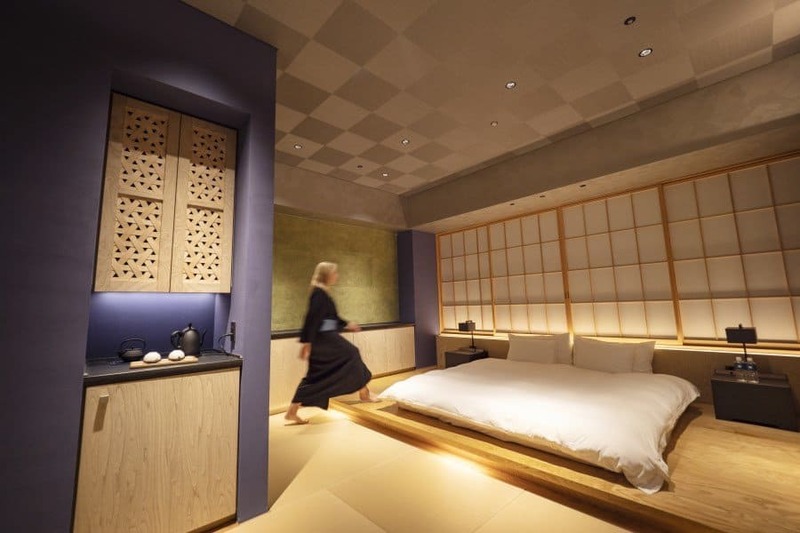 If you’re looking to combine a traditional ryokan experience with some luxury I have just the place for you…HOSHINOYA Tokyo. 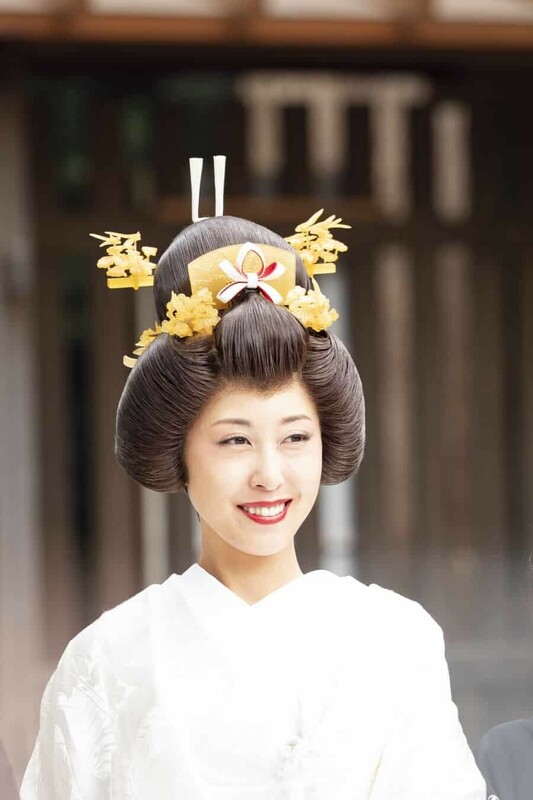 It’s not only ideally located but offers guests intimate experiences with tea ceremonies, sake tasting and traditional Japanese acrobatics and tumbling known as Grand Kagura performances. Like stepping back into the edo period where sliding doors lead to hidden passages and light oak meets tatami. The Hoshinoya Tokyo is the kind of place that fuels creative ambition, where you could pen a novel and never run out of ideas. Every element of design has been thought through. From the welcome area to the windows, bathtub and day beds. It’s a true cocoon of traditional Japanese luxury where the modern world surrounds an utter haven of relaxation. 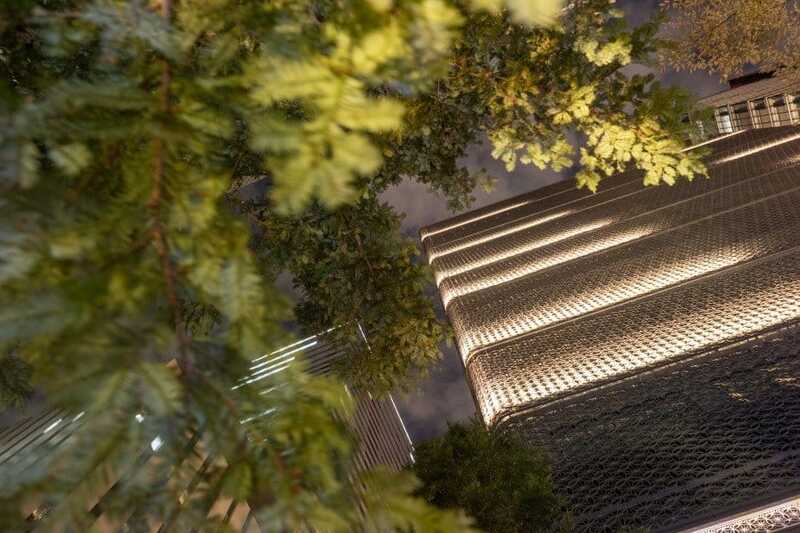 I’ll be sharing a Visual Hotel Review of this Tokyo hotel soon but in the meantime, here’s a little peek at the magic that lies inside this architectural masterpiece. 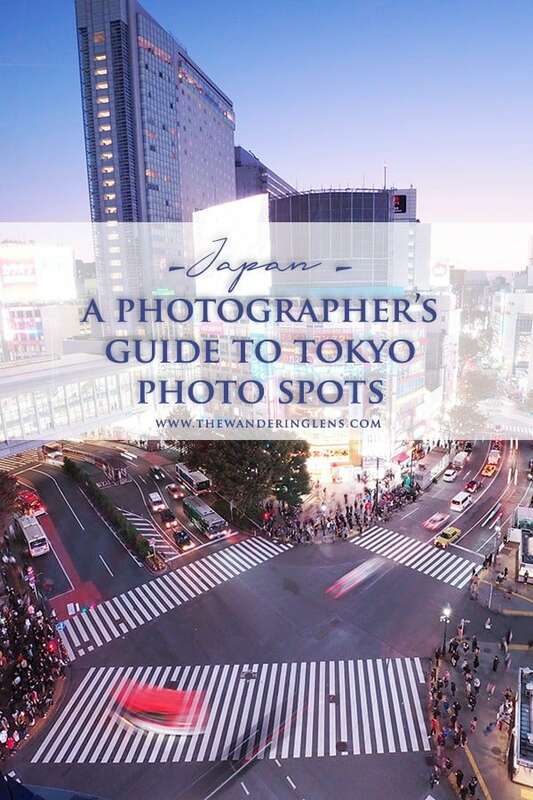 Have you been to Tokyo and have a favourite photography location not mentioned in this guide? Share it with the world in the comments below! YASSS this is exactly what I was hoping for before my trip next year. What would you say is your number one place to see if you could pick just one? Yippee! So great to hear Naomi! Oh gosh…well if you’re in Tokyo already you may aswell see more than just one spot but if I had to pick, I’d go with…Shibuya/Shinjuku only because it’s so different to any other region of Japan. You can see beautiful shrines and temples elsewhere but the organised chaos and neon brilliance of these areas is just so incredible in Tokyo! I think this is the first time I comment in a blog, ever, but this is so complete that I have to, going to Tokyo next month, this is going to be my bible. Thanks! I always dreamed to go to Japan. I learned all their lifestyle and customs. I fell like I am Japanese now :p however, I have never been there for multiple reasons. Seeing this article and the photos make me want to go there. Nice photos, Would have liked to read this but can’t because your anti right click script broke my screen reader. Shame you have chosen to exclude people who can’t read as your photography is amazing. wow great suggestions. thanks for the sharing. helpful one. Such a great blog. Thank you. Which lenses would you recommend for Tokyo and Kyoto?